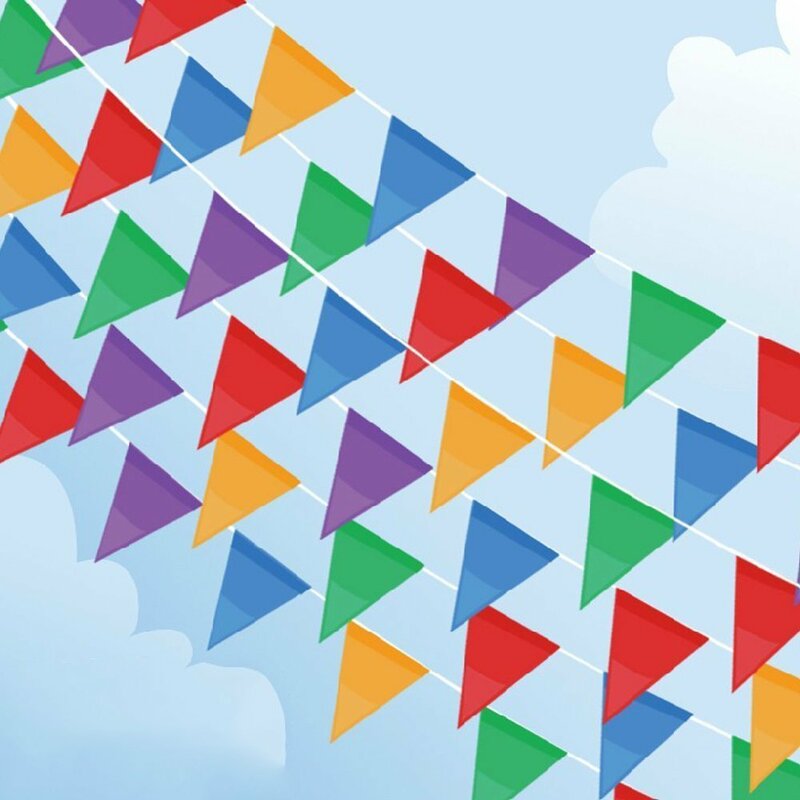 Multicolor Pennant Banner are made of nylon, approx 250 ft long and each flags measures 7 x 11 Inches and contains 200 flags per string with 5 colors. Weather Resistant, Durable and Smoothly. Ideal for indoor or outdoor use. 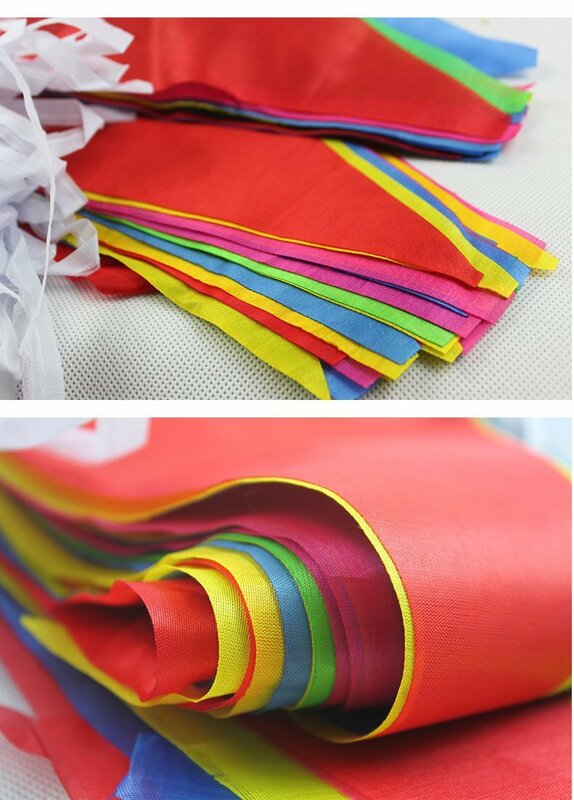 Made of Nylon, 200 Pcs flags per string.5 Colors: Red, Pink, Blue, Green, Yellow. 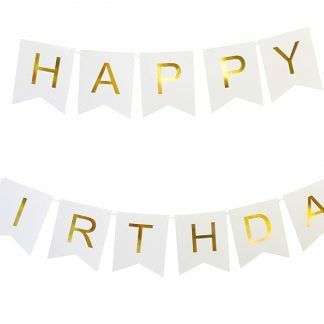 Great decoration for Wedding, Party, Birthday, Bar, Restaurant, or any celebration Events. Approx Length:76 Meters / 250 Feet. Made of Nylon, 100 Pcs flags per string. 5 Colors: Red, Pink, Blue, Green, Yellow. 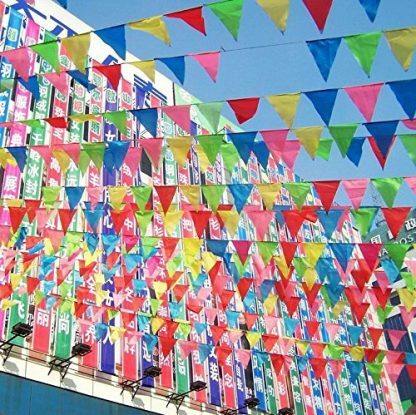 The multicolor string banners are made of nylon, approx 250 ft long and each flags measures 7 x 11 Inches and contains 200 Pcs flags per string with 5 colors. 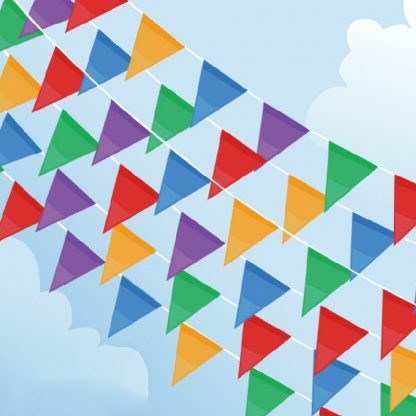 This 250 feet long eye-catching multicolor pennant banner string is a must for any new business. The colorful flags make your business stand out in the crowd ! Perfect decoration for grand opening, any parties and backyard picnics! 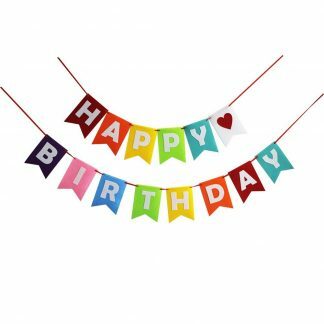 Each stringer comes with pennants that are blue, red, purple, yellow, green and orange.